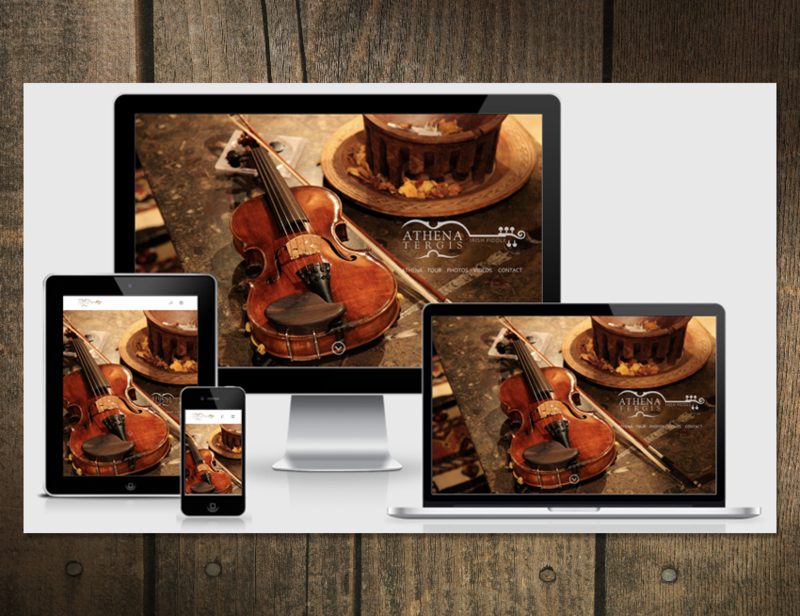 Athena Tergis is a world-renowned fiddle player who needed a new logo and a website. Her old website was non-responsive and very outdated. Athena is a repeat client for Big Max’s Studio. Her husband, Mario Bollag and her are the owners of Terralsole winery. Big Max’s Studio design an award-winning website for them in 2017. She needed an event calendar where on the homepage one the next three events showed. Athena also wanted something that she could update quickly.